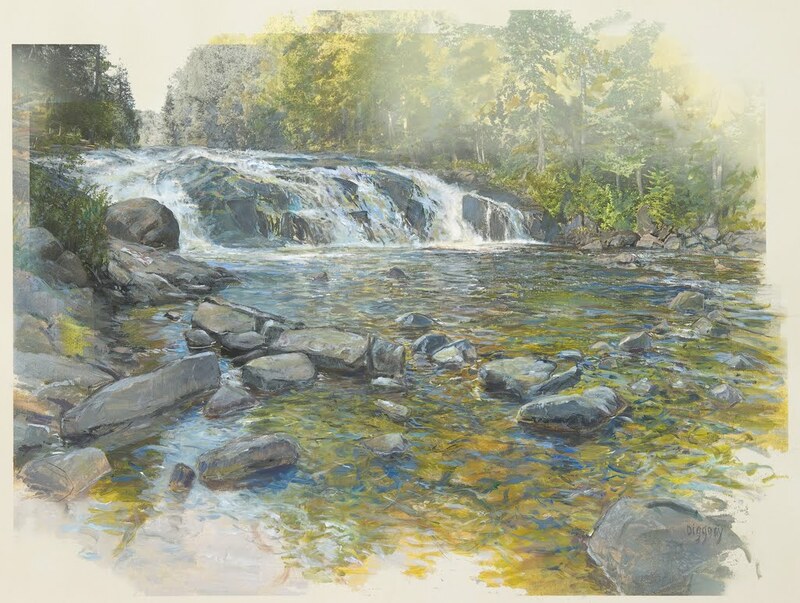 I worked on Swimming Hole in the same time period that I worked on the related artwork, Flat Out. Look first at the narrative for Flat Out for a discussion of the location and the digital manipulation to prepare the print on which I painted. 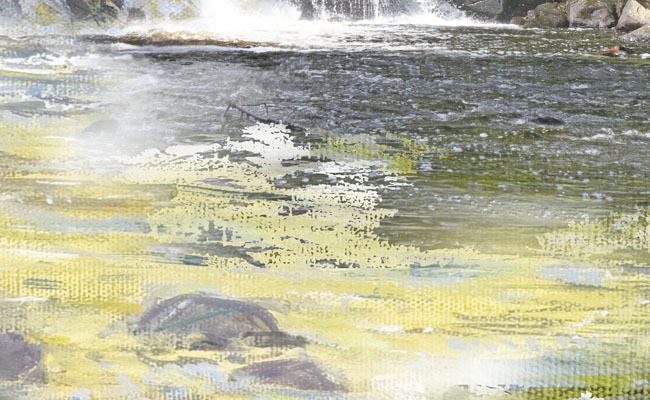 To show the difference between the printed stages for the two works, the first image is the underlying print for Flat Out, and the second is the underlying print for Swimming Hole. 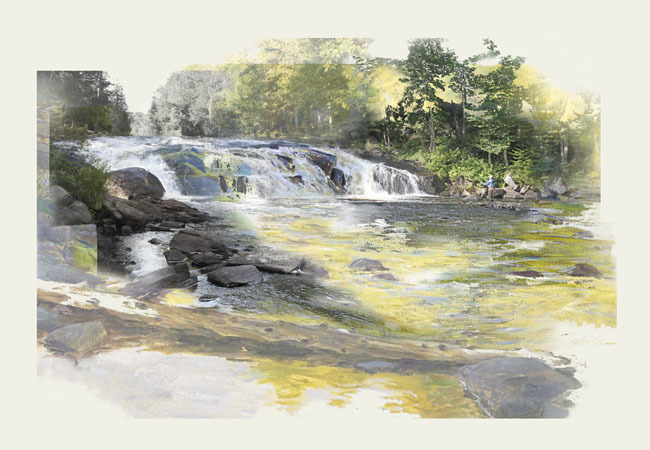 They began on closely related digital files, except that Swimming Hole does not include the fisherman and the trees on the far shore have been subdued in a haze. Below is a close up view of a section of the print stage with some details from a photograph of the location and other details from an on-site painting. In the development of Swimming Hole I decided to bring more light into the middle and foreground. I eventually included three tiny figures, a swimmer whose towel is on the flat rock and one figure on each side of the upper stream. 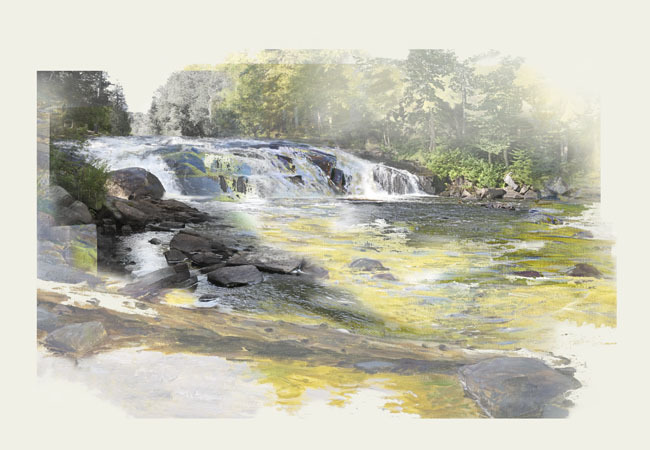 The focus remains on the foreground, which was repainted a second summer at the falls, in 2013,and periodically through that autumn.